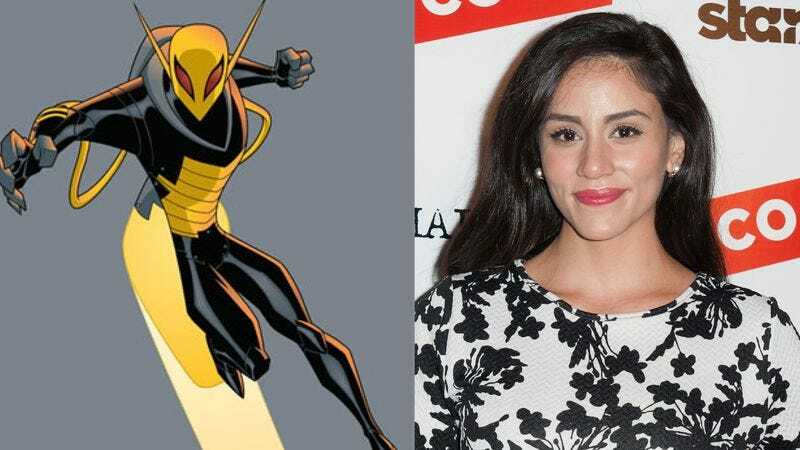 Here is yet another update on Gotham’s villains list, with the requisite joke about overcrowding the show’s rogues gallery: TVLine reports that Fox has added Michelle Veintimilla to the cast as Bridgit Pike a.k.a Firefly. Veintimilla was previously on Lifetime’s serial killer-hunting show Those Who Kill with Chloe Sevigny, and she’s also performed on Broadway. Veintimilla’s Bridgit will be forced into a life of crime by her gang of fire-setting brothers, led by Leo Fitzpatrick (The Wire) as Joe Pike. But with a little help from Selina Kyle (Camren Bicondova), Bridgit will eventually go into the arson business for herself, which won’t sit well with her crook brothers. Following a deadly encounter with her family, Bridgit will rise from the ashes like a phoenix—er, Firefly—and naturally take her anger out on the Batman-less city. Firefly went through a couple of male iterations in DC comics including that of Garfield Lynns, who’s fought Oliver Queen on Arrow. When Fitzpatrick was cast as Joe Pike, we wondered if he would eventually become Firebug, a different pyromaniac villain from the comics. But Veintimilla’s casting doesn’t mean the show won’t find a way to squeeze in multiple arsonists, because this is Gotham after all. Note to Fox execs: this is not what’s meant by “Bring back Firefly”.